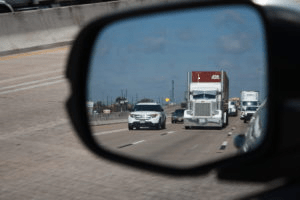 In 2016, there were more than 34,000 accidents involving commercial motor vehicles on Texas roadways. Those crashes resulted in 584 fatalities and 1,426 incapacitating injuries. Due in large part to the difference in size and weight of the vehicles, most of the fatalities and serious injuries were to drivers or occupants of passenger vehicles. Ten years ago, the Federal Motor Carrier Safety Administration (FMCSA) and the National Highway Traffic Safety Administration (NHTSA) conducted the first national study regarding the causes of commercial motor vehicle accidents. The Large Truck Crash Causation Study is still regarded as the most comprehensive information available on the risks associated with commercial trucking and other commercial motor vehicles. Notably, just two of these causal factors (the vehicle being overweight and brake problems) concern the vehicle itself and one (a stop being required) concerns the environment. Seven of the top 10 causes involve driver errors and omissions. In crashes involving one truck and one car or other passenger vehicle, the critical reason for the accident was attributed to the passenger vehicle more than half the time. All of the top 10 causes associated with these accidents involved the driver of the passenger vehicle, as opposed to vehicle problems or environmental challenges. The driver/company relationship: commercial truck drivers may operate as independent contractors or employees, and companies contracting with independent truckers may exert varying degrees of control, meaning investigation is typically required to determine whether the driver is personally responsible, the company is responsible, or both. Evidence may be difficult to obtain: a commercial truck driver can’t work without his vehicle, offering an incentive to make repairs as quickly as possible and get back on the road. If the accident was the result of faulty equipment or the damage to the vehicle offers evidence about the accident, that evidence may be lost if the injured party doesn’t act quickly. Evidence may be unreliable: federal law requires maintenance of log books to ensure that commercial drivers observe hours in service restrictions, but falsification of logs is a common problem in the industry. Enlisting the help of an attorney experienced in commercial truck accident cases as soon as possible after the accident can be your best protection against missed deadlines, overlooked parties and lost evidence. Call us for a free consultation: 800-298-0111.